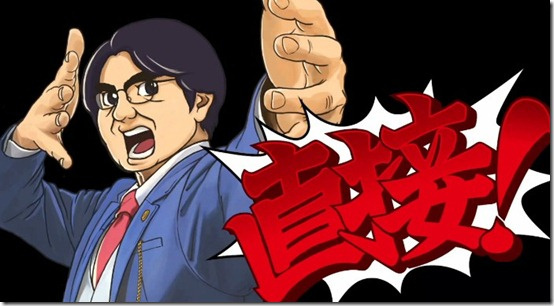 As you may have been aware, Satoru Iwata has today hosted a special Nintendo Direct broadcast for the Japanese market, with a specific focus on two upcoming Capcom 3DS titles — Monster Hunter 4 and Phoenix Wright: Ace Attorney - Dual Destinies. Naturally a lot of the detail will pass you by if you don't speak Japanese, but there's nevertheless plenty of lovely footage to enjoy, while we already know that the latest Ace Attorney title will arrive in the West as an eShop exclusive later this year. As for Monster Hunter 4, we can only hope at this stage. You can check out the full video below, and we'll pick up any particularly important details and report them on the front page. Enjoy! "Monster Hunter 4" is very impressive, I hope they end up making a Wii U version down the line. dang monster hunter 4 looks awesome. hope MH3 sold enough in the west to warrant a western release. I love MH! In a few months I'll start learning Japanese and then I'll know everything Mr. Iwata says! > But then reality hits me and I understand that it's not that easy. Oh well. But I gotta say, I love Capcom's games. The company itself is just a little... greedy. Capcom makes great games. Keep'em coming! I saw Pearl Fey and Klavier Gavin in that Phoenix Wright 5 video! Those cutscenes in AA5 look slick. Freaking pumped for this game. Is it just me, or does the music in the new AA5 trailer sound more orchestrated and less synthetic than the last trailer? @Darel Ace Attorney 5 is eShop only in NA and EU. Not enough sales in previous DS games to warrent a retail release. Aw, I can't wait for Ace Attorney 5. Looks like it's going to be good. Monster Hunter 4 looks really awesome, I hope they release it here in the west on the Wii U. Does anyone know where I can find a subtitled version of this direct?